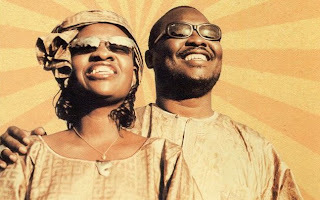 I have grown really fond of this duo from Mali, Amadou and Mariam. Both are blind and met while at a school for the blind. They have grown to have a considerable following for their live shows and they are coming to New York for a show at Webster Hall in June. Manu Chao produced their last album, which this song is taken from.